When you list your property for sale with KBT Realty Group, you sit back and relax while we do the work of selling. KBT Realty Group will take photos, set up a showing system, add a lockbox, and showcase on 300+ websites. KBT Realty Group has success by the numbers for sellers. We are Keller Williams Wilmington 2017 Double Platinum Total Sales Volume agency. We are proud that we average almost half the local average time on market for real estate for sale. To sell your real estate, we market on social media, promote to real estate partners, and followup promptly. We promise superior response time: our average response time is less than 8 minutes; the national average is 36 hours. Your KBT Realty Group agent will present and negotiate offers. We will also coordinate closing, escrow, and lending relationships. We review and double check. We ensure buyer financing. 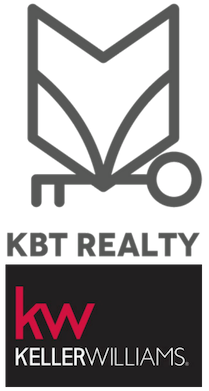 Your KBT Realty Group agent brings it all together. We have a big team. We have a big data. KBT Realty Group casts a big net. That's the real estate tech advantage. Our people and systems focus on a world class experience for your. That's the KBT Realty Group promise. We leverage the #1 real estate brand in the world. KBT Realty Group gives sellers a competitive advantage. Call us to talk about selling, at 910.400.3009.